A maritime center called Polar Odyssey was the first rivate shipyard in the Soviet Union. Since Soviet times, the Polar Odyssey maritime club in Petrozavodsk has made exact replicas of 17th-19th century sailboats. In three decades this group of enthusiasts has constructed more than 40 vessels, including Viking dragon ships and the traditional Pomor boats of the Russian north. As you walk along the popular embankment of Lake Onega in Petrozavodsk (650 miles north of Moscow) and pass the cargo port, you suddenly find yourself transported back in time: Waves are lapping against a wooden berth, sails are flapping in the wind, and a bewildered tourist is greeted by the muzzles of small ship cannons. This is the seat of an unusual maritime center called Polar Odyssey, once the first private shipyard in the USSR, where for three decades already enthusiasts have been making exact replicas of 17th-19th century sailboats. In 1978, an engineer from Petrozavodsk, Viktor Dmitriyev, bought a wooden boat and together with friends made a voyage from Petrozavodsk to St. Petersburg. Originally, the boat was called Golden Doe but the friends renamed it into Polar Odyssey, the name that was soon to be heard on all the continents. First, there was a voyage to the White Sea. The experience gained during that voyage prompted Dmitriyev to develop an interest in the experience of his predecessors, the Pomors (Russian settlers since ancient times living on the White Sea coast), who also traveled the same route. The Pomors, descendants of explorers from Novgorod who arrived in Karelia and the Arkhangelsk region some 1,000 years ago, developed a special technique for building wooden boats, which enabled them to become the first to reach the Arctic archipelago of Spitsbergen. For Dmitriyev, who had already had his first taste of sailing in harsh northern waters, a voyage like that sounded like science fiction: The wooden boats of the Pomors passed through ice reefs and storms in latitudes which present a danger to modern ships to this day. Dmitriyev became obsessed with the idea of repeating their voyage. But how was it to be done? With the arrival of motors and icebreakers, the secret of building a traditional Pomor ship (called a koch) has been lost. Gradually, the hobby became his mission in life. A maritime club called Polar Odyssey was set up in Petrozavodsk and Dmitriyev became its president. In 1989, three wooden sailboats were built at the club’s shipyard, called Faith, Hope, and Love. On those boats, enthusiasts from Petrozavodsk set off on a pilgrimage of sorts: Together with a Russian Orthodox priest in their midst, they reached Israel and Jerusalem. At the time, it was a real break through the Iron Curtain. In 1991, Dmitriyev reached the United States on his Pomor koch. Yet the club’s attempt at a voyage around the world failed as the trip had to be abandoned near the Canary Islands for bureaucratic reasons. This did not, however, prevent another crew later from reaching Australia. The enthusiasts were not put off by the inevitable difficulties that arose. 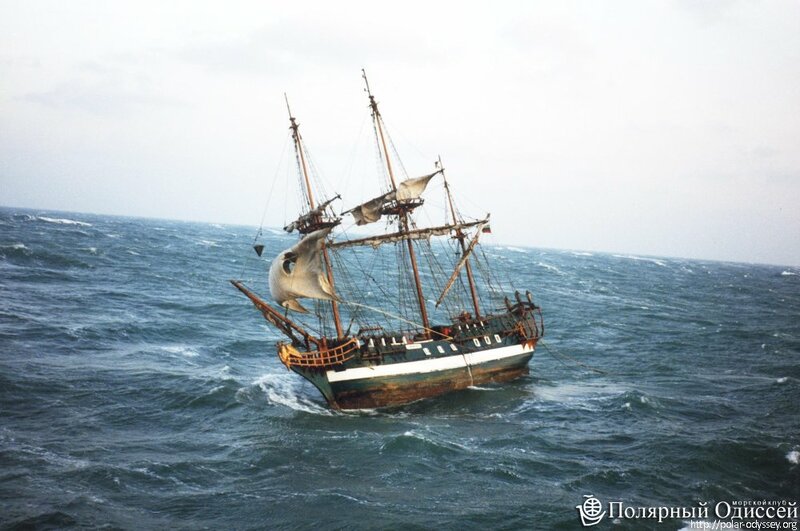 Over the course of three decades, they have built over 40 wooden sailboats, including an exact replica of Peter the Great’s famous Botik, a Norwegian Viking dragon ship, light Cossack boats (strugy), boats for feature films and several frigates. Yet, their most famous creation is probably the St. Nicholas, an exact replica of a merchant Pomor boat. It is this elegant three-masted sailboat that since 1991 has taken part in annual European maritime festivals, was officially recognized as the most beautiful participant in the traditional Cutty Sark race in Newcastle-upon-Tyne, UK, and still remains a permanent fixture at any festivities held in Petrozavodsk. It is from the St. Nicholas that on City Day the founder of Petrozavodsk, Peter the Great, steps onto the embankment in the center of the Karelian capital every year and it is the St. Nicholas that offers enjoyable boat trips to the city’s numerous tourists. Polar Odyssey also serves as an educational establishment: Teenagers learn different wood crafts here, cadets from a local naval school learn sailing and amateurs get their first practical experience of sailing on a lake. These days, the club is run by Dmitriyev’s son, while its founding father, despite his advanced years (he is over 70 now), is still full of ideas and is convinced that wooden shipbuilding in Russia has a great future. “I have recently developed a houseboat project. A houseboat is a solid and practically unsinkable structure, in effect, a self-propelled floating house, fitted with a sail and a motor. It accommodates six people, can be easily dismantled and moved from one location to another,” said Dmitriyev, adding that the government of Karelia has shown an interest in the project. “If we get support, we could set up a whole chain for renting these dacha-boats and in effect create a new form of holidaymaking for Russians,” he said.